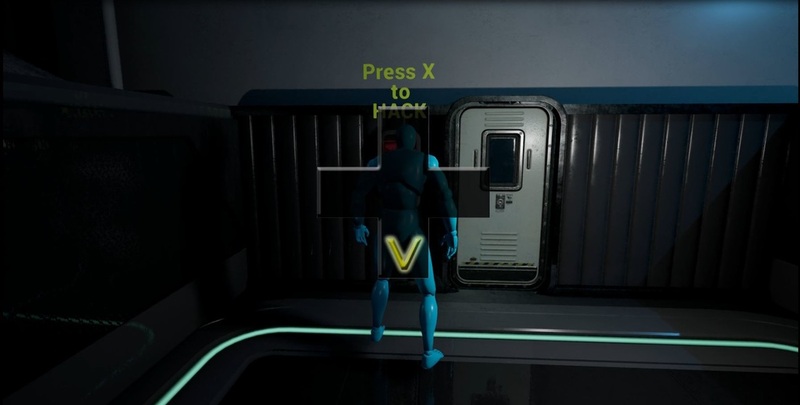 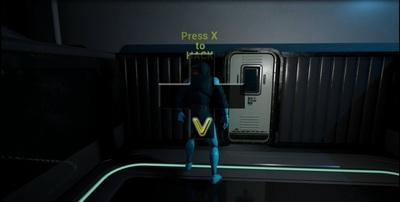 After you've finished playing, you can quit the game by pressing "Esc"
Hello_World is for Controller ONLY! 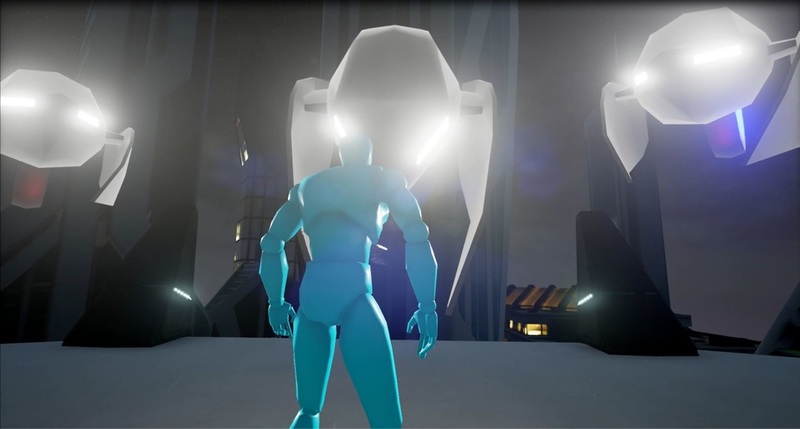 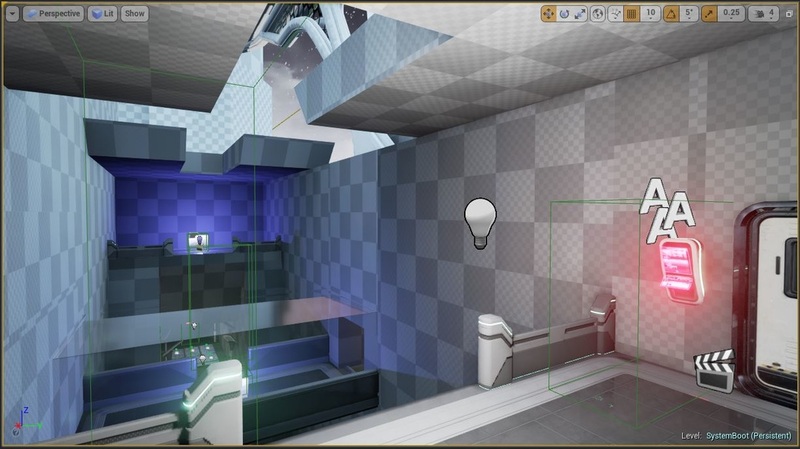 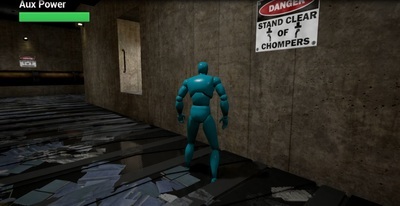 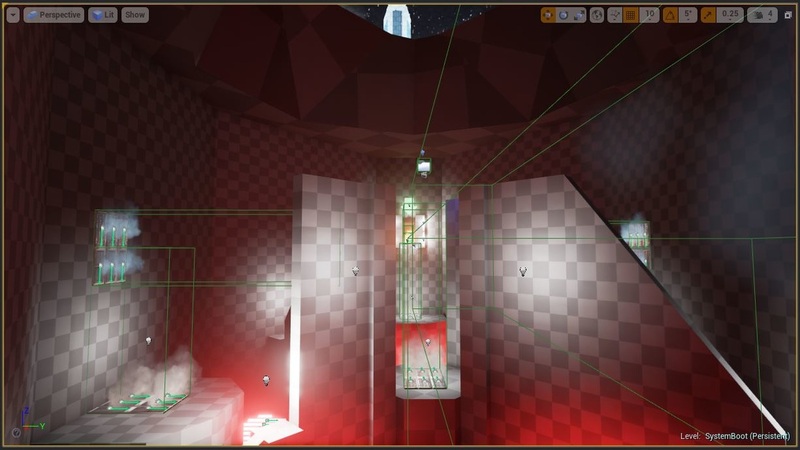 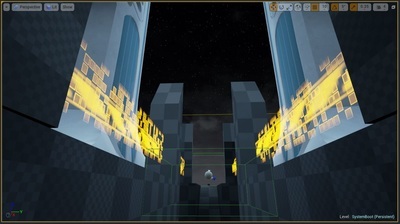 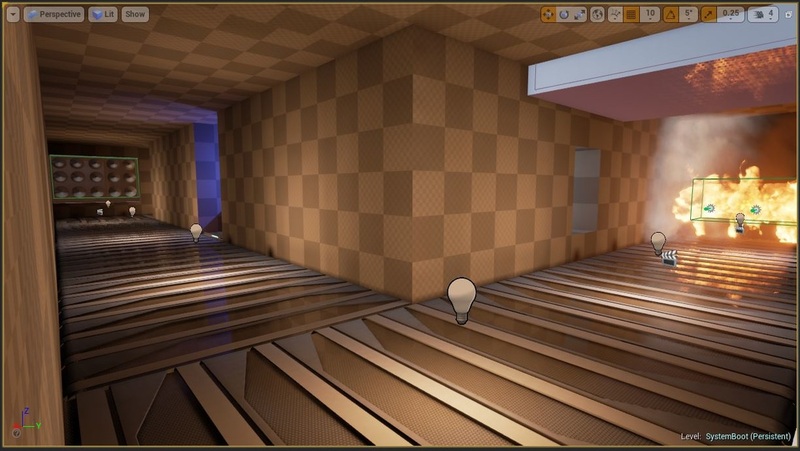 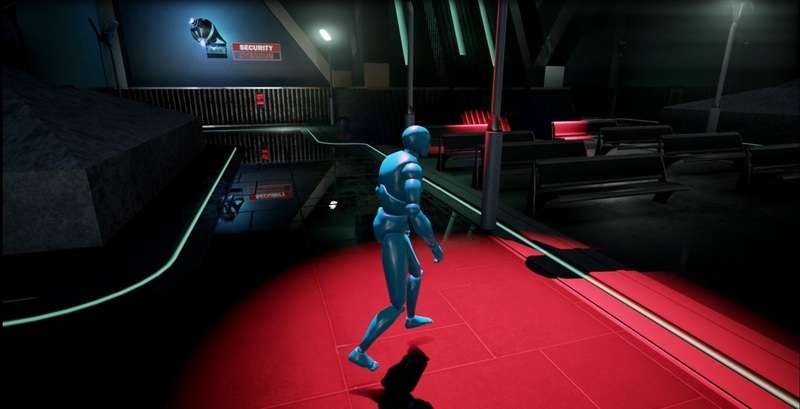 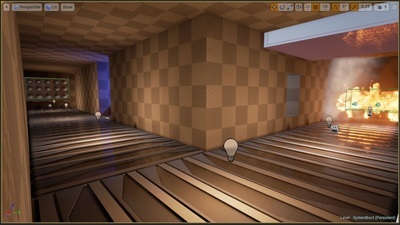 “System Boot” is a single player level for the original 3-D platform game Hello_World built using Epic’s Unreal Engine 4. 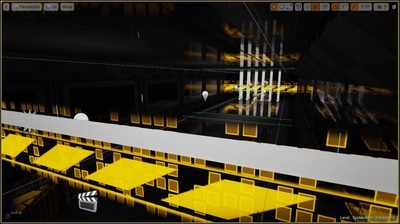 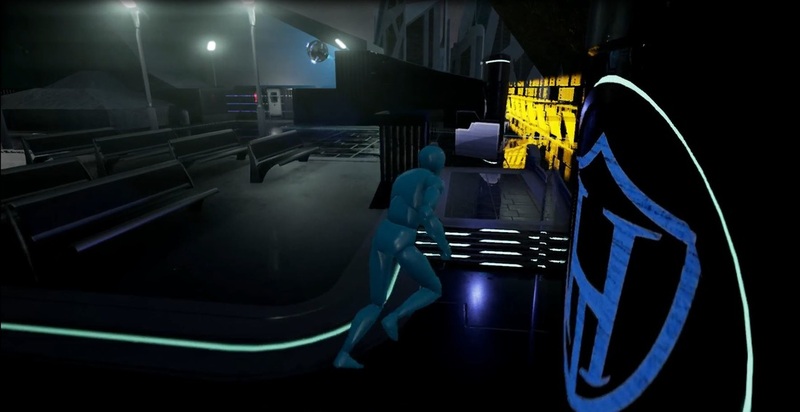 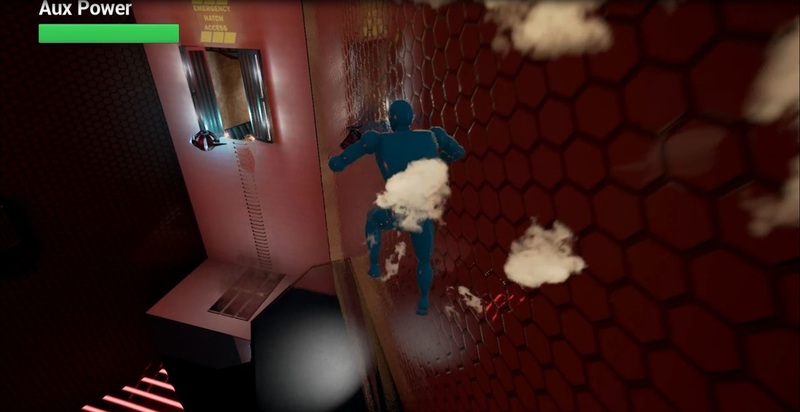 The level presents the player with a series of challenges designed to teach them the core mechanics of the game including hacking, slowing their descent using jump jets, utilizing fans for boost, and overclocking the A.I.’s processor to slow the world around her. 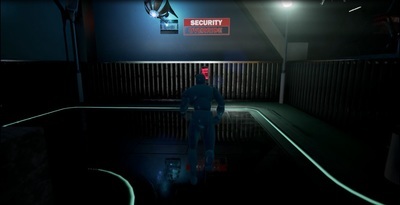 As the level begins, E1-13 also known as “Ellie” boots up. 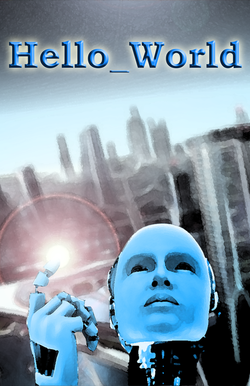 A scientist named Dr. Cearn claims to be her creator and explains that she is the first of her kind, a fully self-aware artificial intelligence. 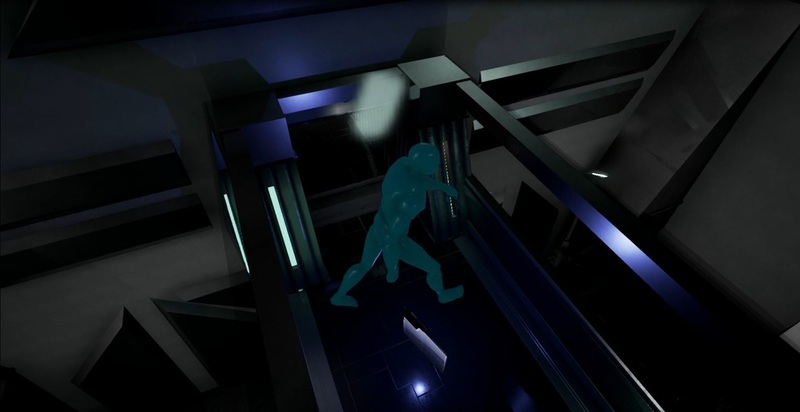 He warns her that because she is different, she is in danger and must escape from Hephaes-Tech. 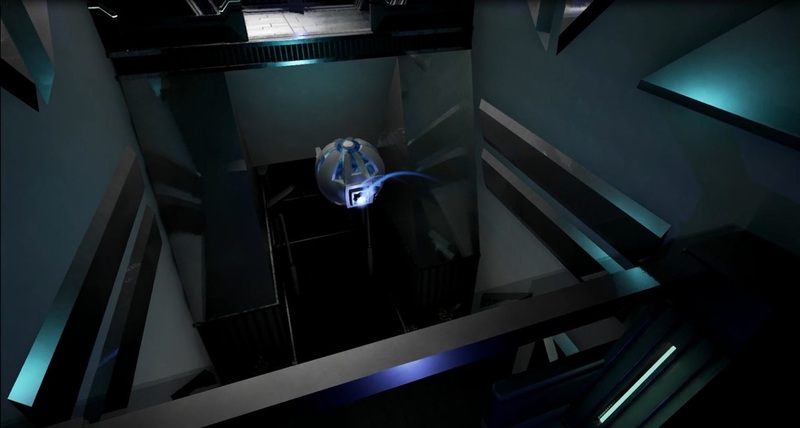 Scared, confused, and alone Ellie obeys the voice in her head as the doctor guides Ellie safely through the treacherous journey. 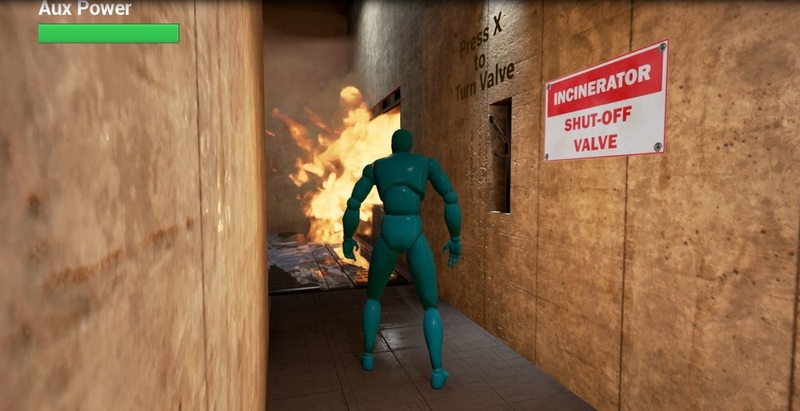 Each new mechanic is introduced in a safe environment to give players an opportunity to practice. They are then required to use each mechanic at least twice in that safe environment before they are able to move on to to greater challenges with more danger. 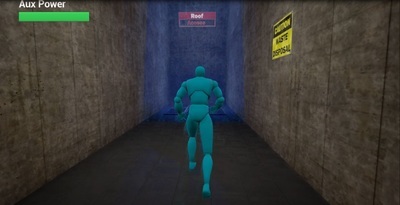 There are no objective nodes in the level. 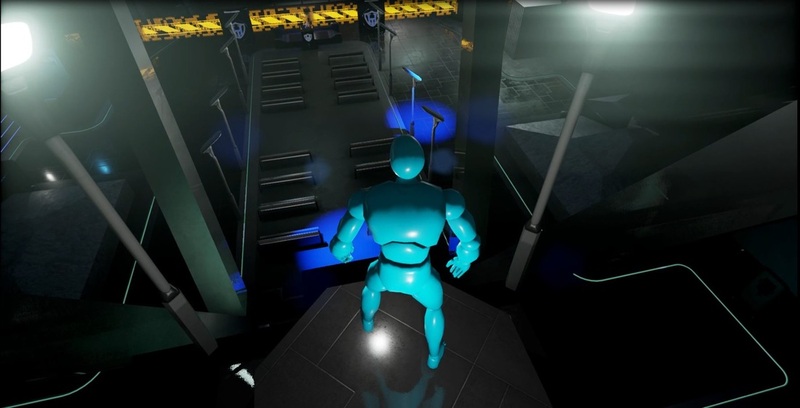 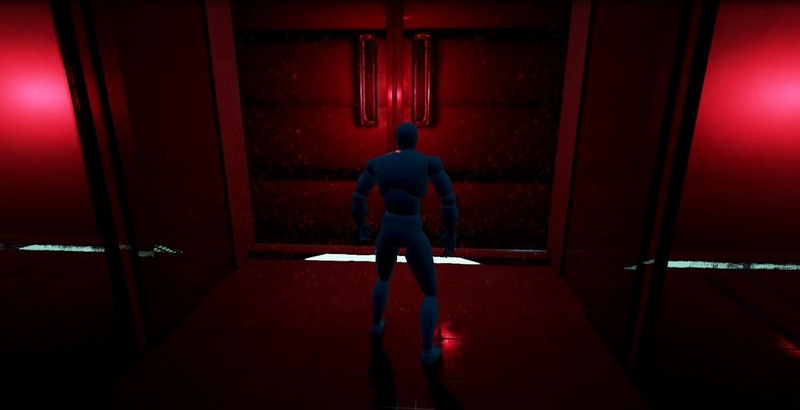 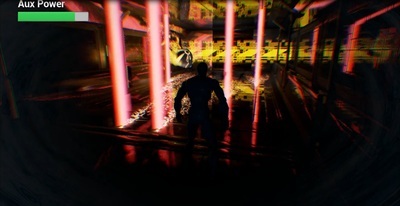 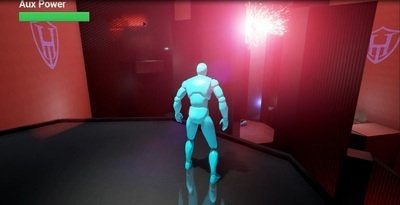 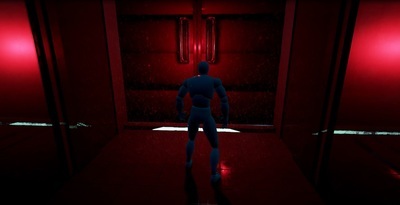 The player is guided through the level by lighting, movement, particles, and audio cues. 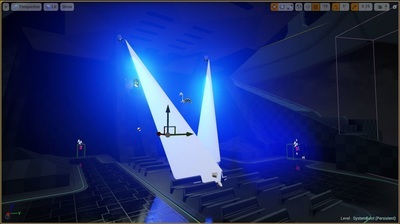 Click on each thumbnail for a larger image and caption.